Palmyra, a UNESCO world heritage site has never had a problem attracting visitors. Palmyra, also know as the Queen of the Desert and Tadmor, is an ancient oasis city in Syria, three hours drive east of the capital Damascus. In antiquity, it became wealthy from the caravans that plied the silk route, its abundant water a welcome respite from the heat and dust of the desert. Palmyra, a UNESCO world heritage site has never had a problem attracting visitors. The Great Colonnade, a kilometre long street lined with columns nearly ten meters high dating to the second century and the Temple of Bel, just to name a few, acting like a magnet to those like Agatha Christie who flocked to see its architectural wonders. But recently it had visitors who far from welcome. In 2013, amidst the Syrian Civil War, the city fell into the hands of Islamic State, the Islamic extremist group destroying many of the ancient buildings and looting their contents. The amphitheatre was even used as a place of execution for the hapless prisoners that were captured during the fighting. 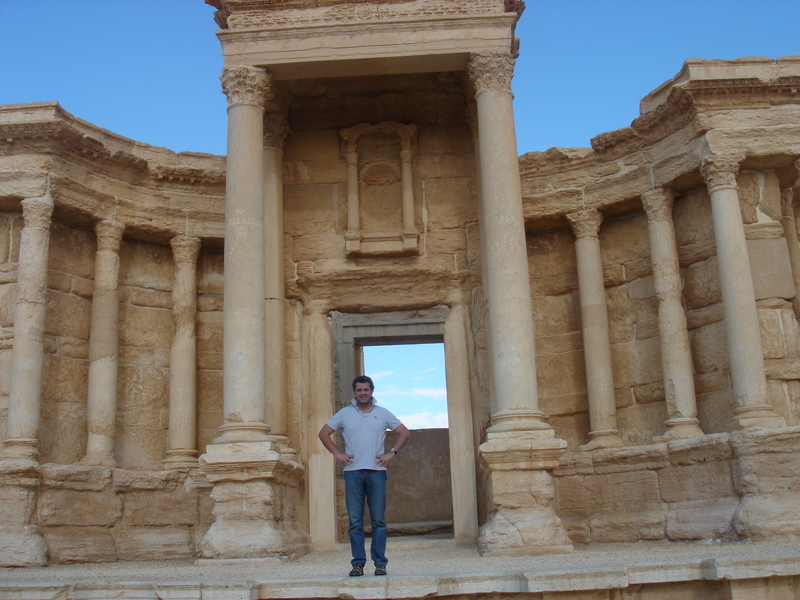 My visit to Palmyra was in 2008, well before the civil war that has ravaged Syria and the Levant. My day there was spent wandering around the amazing site helped by Syrians that were so proud to show off their heritage. The ancient city of Palmyra is a special place to me, because it was whilst rambling amongst its ancient ruins, that the seeds for my first novel Damascus Redemption were sewn. On my two month visit to Syria, I came across many locations that I thought would be useful for the plot that was fast thickening: the tomb of Saladin in the Umayyad Mosque; the Street Called Straight that was visited by Paul the Apostle; and the Al-Malik al-Zahir Hammam or bathing house, in which my characters rid themselves of their hangovers. All these sites and many more, were in walking distance within the old walled city of Damascus. I hear that Palmyra will be open to receive visitors again in 2019. An incredible achievement for those involved. For most it would not be a holiday destination, but no problem. 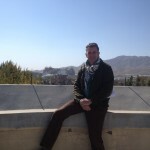 Relax with Damascus Redemption and let me bring the ancient archaeology of Syria to you in the comfort of your own home. My next novel involves the search for Alexander’s the Greats tomb in Afghanistan and is called Roxan’s Revenge. Sign up for the newsletter to receive updates. ← Shamima Begum is a victim?